11th Edition of Indian Auto Expo 2012 is the perfect platform for all the domestic as well globally renowned car manufacturers. Today, Volkswagen Group India has made its presence felt at the prestigious Auto Expo 2012 event in New Delhi. The German auto major showcased its all new concept car that is Volkswagen XL1. The most interesting and unbelievable thing is that the car is one of the most fuel efficient one as it offers an extraordinary fuel economy of 111 Km per liter. This concept model host a 1.0 liter, 2 cylinder TDi engine which belts out maximum output power of 48 BHP. The car also comes fitted with an electric power mill which further enhances the power of car by around 27 BHP and this phenomenon makes Volkswagen XL 1 one of the most fuel efficient car that Volkswagen company has ever designed. Additionally, Volkswagen India also unveils the newly formulated Volkswagen Beetle and Volkswagen Touareg. The freshly reformed Volkswagen Beetle comes equipped with 1.4 Liter of petrol engine that is capable of generating maximum output power of 158 BHP and the diesel version of the hatch comes blessed with 2.0 liter of diesel motor that belts out peak output power of 138 BHP. In this way we can say that the German auto biggie has been successful in consigning the needs of both petrol and diesel car buyers. Volkswagen Touareg Suv is also the shining star stands at the Volkswagen pavilion at the Auto Expo 2012. The newly revised sports utility vehicle comprises of more enhanced V6 3.0 liter diesel engine that produces 205 BHP of maximum output power. This newly powered SUV will hit Indian shores in April 2012. 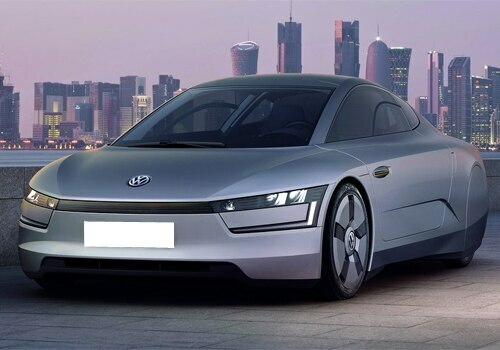 Rumors suggest that Volkswagen India also planning to introduce a petrol-hybrid version of 3.0 L in the coming future. Volkswagen's have never looked this good. This sneak peak riddles me with excitement. This definitely deviates from the usual Volkswagen designs. And I mean that as a very good thing.